Focusing on the idea of an 'Android tablet app' is missing the point -- and misunderstanding how Android as a platform works. Hear ye, hear ye, citizens of the mobile world: Pull up a chair and get comfy for a minute. There's something we need to clear up. It's this notion that's been pounded into our noggins about the "Android tablet app" -- the idea that developers should be creating separate apps made specifically for Android tablets in addition to those that target phones. We hear about it in a lot of places. 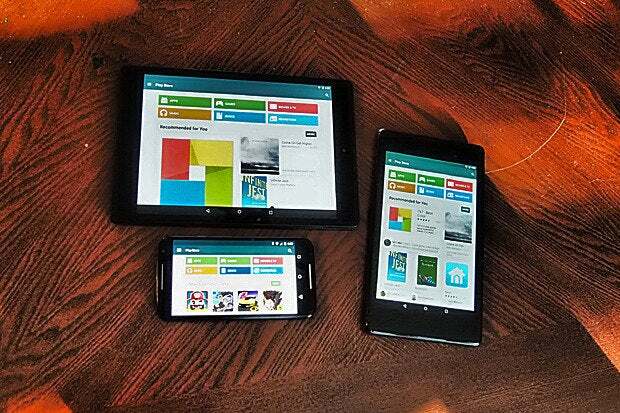 Self-appointed industry analysts often squawk about the dearth of "tablet apps" for Android. CEOs of competing companies sometimes spout hot air about the alleged number of "Android tablet apps" that are supposedly available. And then there's the worst: the businesses that hear all that babble and actually let it affect the way they approach Android app development. That's where the real danger lies. For the prime example, we need look no further than everyone's favorite Clippy custodian -- yup, trusty ol' Microsoft. As you've probably heard, the Redmond rangers released a series of new Office apps for Android earlier this year -- first in a "preview" form in mid-January and then in a more official (though largely unchanged) final packaging a couple of weeks ago. In all the coverage of Microsoft's new products, one key point has gone largely uncovered: The apps illustrate a complete and foundational misunderstanding of how Android as a platform works. And that results in a confusingly inconsistent and shamefully poor user experience. The issue all comes down to that misguided "Android tablet app" mentality: After having offered just a stripped-down version of Office that worked only on Android phones since 2013, Microsoft designed these new and improved apps to work only on Android tablets. That means if you're using a phone, you're still stuck with the old Office for Mobile app -- a separate download that's nothing like the full Word, Excel, or PowerPoint environments now available for larger devices. See what's wrong here? There's absolutely no reason Microsoft's original Office for Mobile app should have been restricted only to phones -- and there's even less reason for its new Office apps to be locked down to tablets. Instead of inventing arbitrary boundaries between device types, Microsoft should be creating a single consistent user experience that works equally well on any size Android device. That's what Android as a platform is designed to handle. And that's what actually makes sense from a user's perspective. Think about it: Android is more of a continuum of devices than any set of carefully defined form categories. Why is it okay for Microsoft's new apps to run on a 7-in. tablet but not on a 6-in. phone? The line between the forms is increasingly blurry, and maintaining that imaginary boundary is serving no one -- including Microsoft -- well. Microsoft is by no means the only offender in this domain -- Amazon, for example, long restricted its Android app to be used only on phones and now needlessly maintains separate (though similar) phone and tablet apps -- but that kind of silly separation is very much the exception to the rule at this point. The vast majority of Android apps you encounter are designed to work on phones and tablets alike, and the better ones adapt intelligently to be optimized for whatever size screen you're using. In Gmail, the changes between device forms are more subtle -- at least, in the portrait orientation. 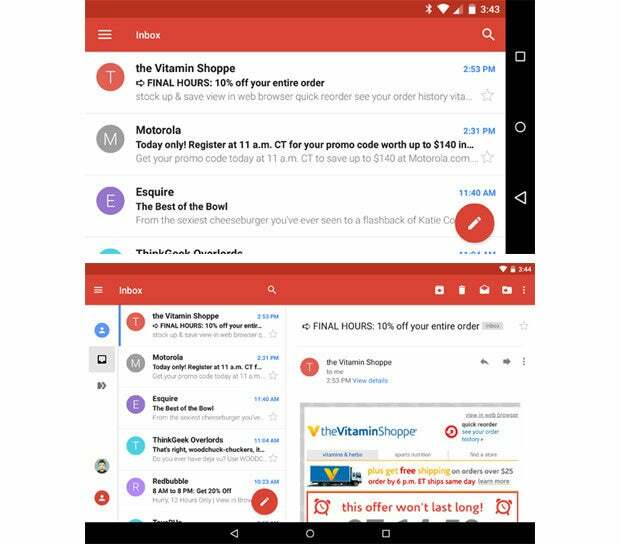 Viewing an inbox on a larger screen simply gives you on-screen access to an extra panel of options that remains tucked away in a slide-out panel on phones. So even if a developer is too lazy to fully optimize for different forms, there's no valid reason for a company to prevent its app from being installed on all sizes of Android devices -- because on a broader level, there's no valid reason to think of "Android tablet apps" and "Android phone apps" as being separate entities. Ultimately, the "Android tablet app" exists only in the minds of misguided developers and ignorant analysts. In reality, what we have are Android apps -- period. They're all capable of working on anything from small phones to large tablets. If they're designed well, they'll adapt intelligently to be optimized for different screen sizes. If not, they'll simply scale up or down but still remain perfectly functional. And if their developers don't understand Android -- a small minority that includes some surprisingly big names -- they'll be needlessly locked down to one particular form or another.